KOMBI boilers consist of a tank for storing heating water produced by alternative heating sources. The inside is untreated while the outside is painted with water-based rustproof enamel. A boiler is fitted inside for the production of domestic hot water. It is made of carbon steel with an internal porcelain lining treatment at 860°C in accordance with DIN 4753. A magnesium anode proportioned to the surface to protect is fitted for cathodic protection. The flexible polyurethane insulation with a thickness of 100 mm with external PVC finish guarantees optimum thermal insulation of the water and reduces heat dispersion to a minimum. 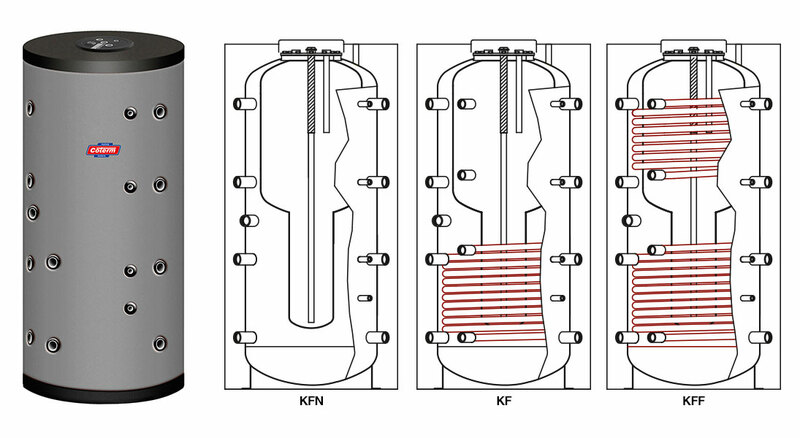 Fill in the form below to be e-mailed the KOMBI SERIES BOILERS technical data sheets. Thank you.